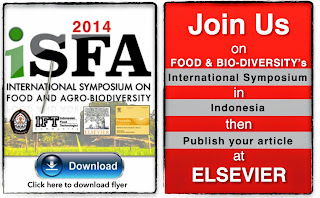 Indonesian Food Technologist Community in the year of 2014 will held the International Symposium on Food and Agro-biodiversity. 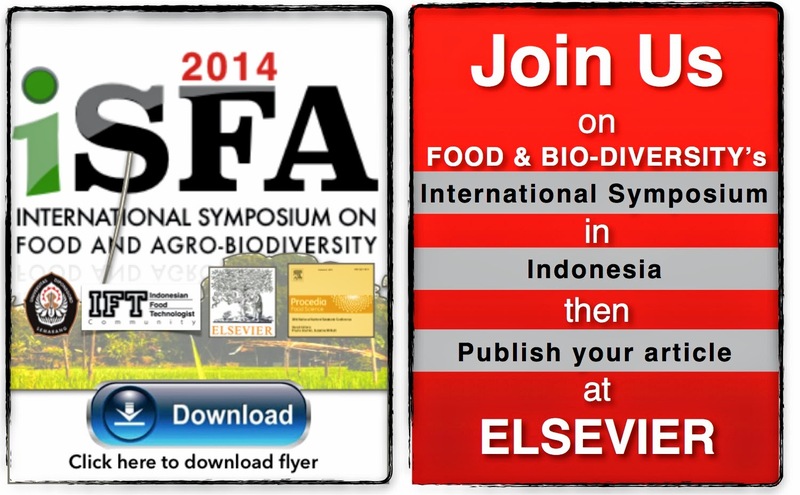 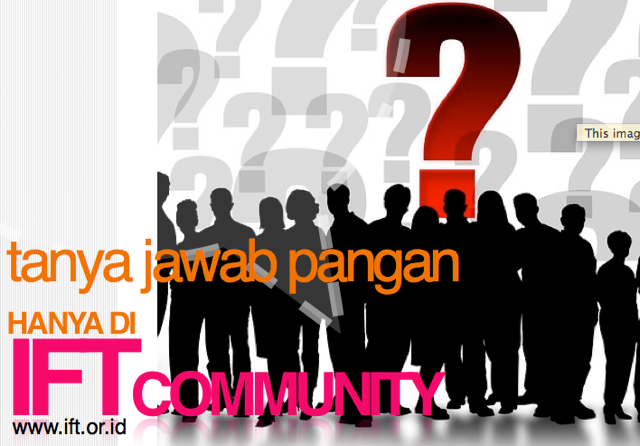 This is the first conference and will be conducted in Semarang, Central Java, Indonesia. 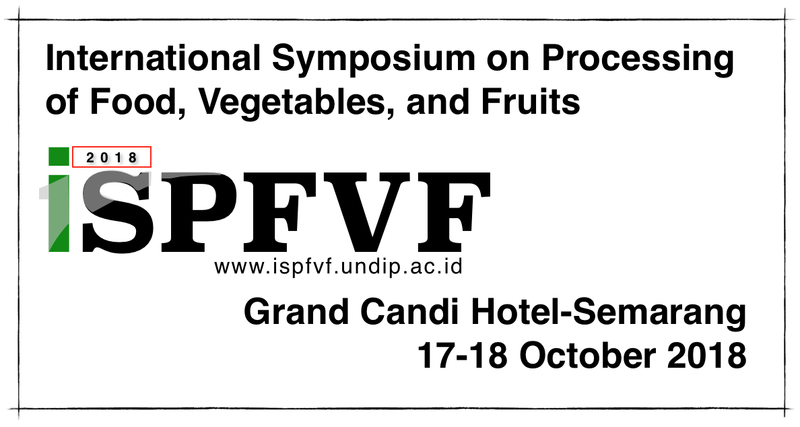 The committee invites international food researcher to join this symposium as presenter. 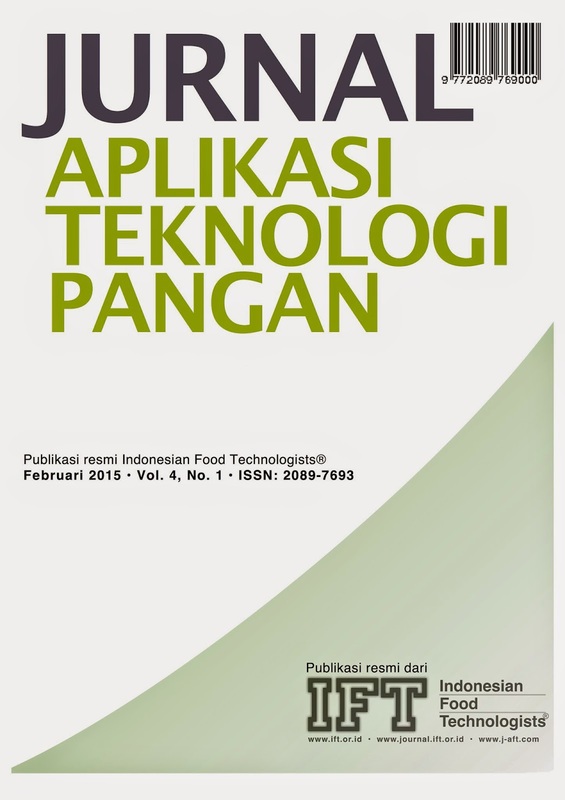 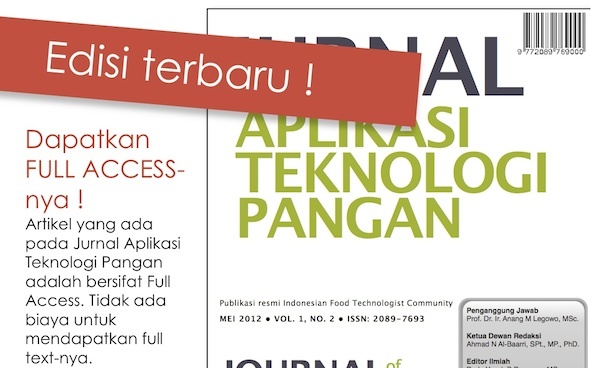 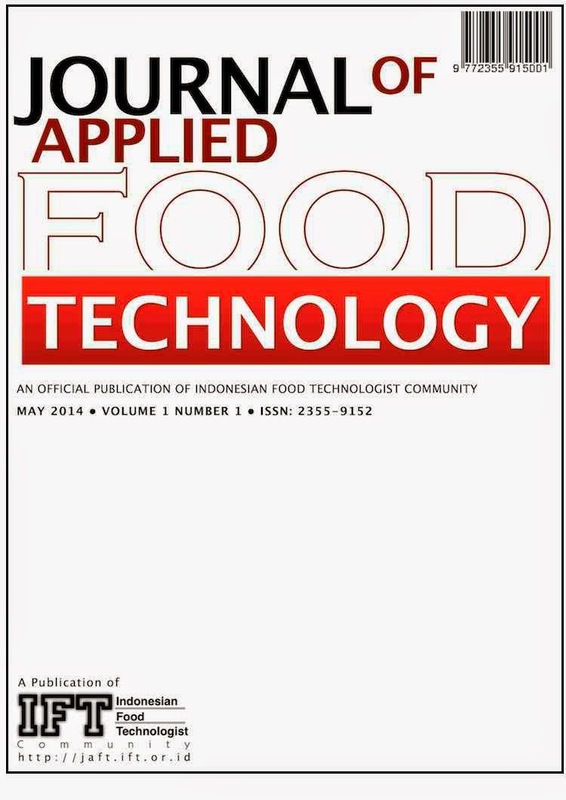 The committee will be published all accepted article in Elsevier Publishing: PROCEDIA FOOD SCIENCE. The registration will be open for 100 seat only and the booking ticket can be obtained by providing the title of article or research project. 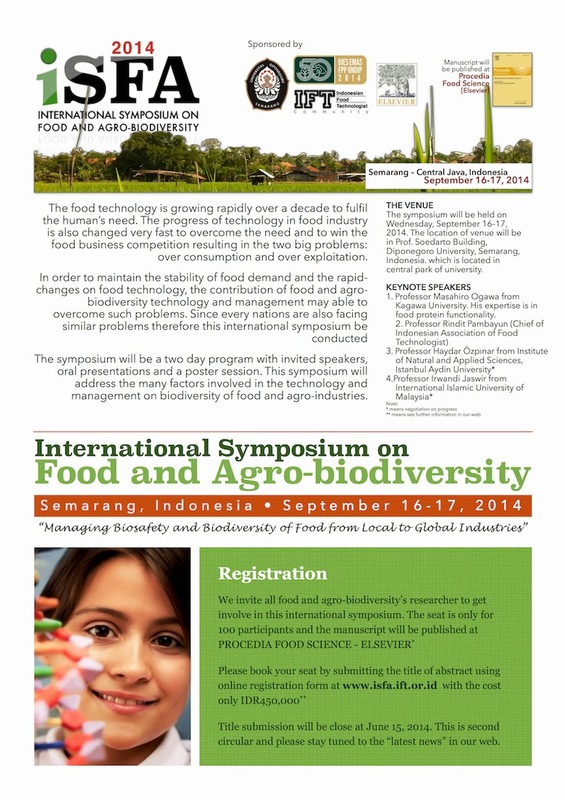 Registration will be available until June 15, 2014.